This invitational, juried fine art exhibition featured scenes of the greater San Gabriel Valley by nationally recognized representational artists. Ninety-nine contemporary pieces – including paintings, sculptures, and photographs – were selected from hundreds of submissions. A special display of vintage paintings provided historic context for the exhibition’s present-day works. Contemporary Masters, Artistic Eden IV was jointly curated by the sponsoring galleries of the Pasadena Art Gallery Association. In 2014, a record number of Pasadena institutions celebrated significant anniversaries. 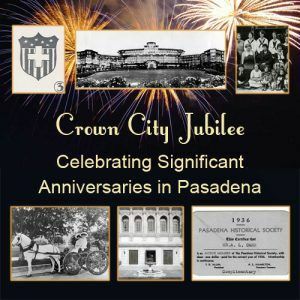 Crown City Jubilee highlighted eleven well-known institutions with displays of historic artifacts and clothing, photographs and ephemera: the Pasadena Unified School District (140 years), Pasadena Public Library (130), Pasadena Tournament of Roses® (125), Vroman’s Bookstore (120), Mount Wilson Observatory (110), the Rose Bowl Game® (100), American Red Cross, San Gabriel Pomona Valley Chapter (100), The Langham Huntington, Pasadena (100), Westridge School (100), Pasadena City College (90) and Pasadena Museum of History itself, which celebrated 90 years since its founding in 1924. 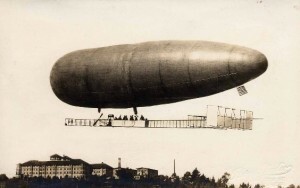 From the kite through the space age, Kites, Wings & Other Flying Things examined the artistry and engineering behind rapidly advancing aeronautical technologies, as well as Pasadena’s key place in the story of flight. An aviation timeline, illustrated with images from the Museum’s vast collection of photographs, explored the development of this quintessentially twentieth-century industry from Pasadena’s point of view. Related artifacts and ephemera documenting the industry were also on display. Early aspirations of flight began with the kite, an item that epitomizes the intersection of science and artistry. Glen Rothstein, of the American Kitefliers Association, curated a selection of kites on loan from kite makers and collectors, including Dorine Imbach, Mikio Toki, and Tyrus Wong. 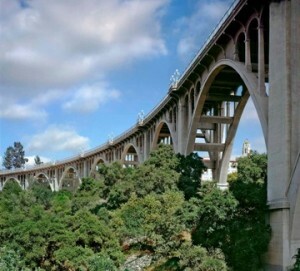 On the occasion of the Colorado Street Bridge centennial, this comprehensive exhibition featured the work of the local artists, photographers, writers, and designers who have portrayed the iconic structure over the past 100 years. Presenting sponsor for this exhibition was The American Society of Civil Engineers, Los Angeles Section, with additional support from GROWit, Producer’s Library, Andrew Machen, and Art Krieger. Images: David Sikes, Autumn Pasadena Parrots, oil. 2014 Museum Purchase Award; Crown City Jubilee exhibition logo; Knabenshue dirigible over the Raymond Hotel, PMH Archives (A9-1d); Colorado Street Bridge, photo by Tavo Olmos.